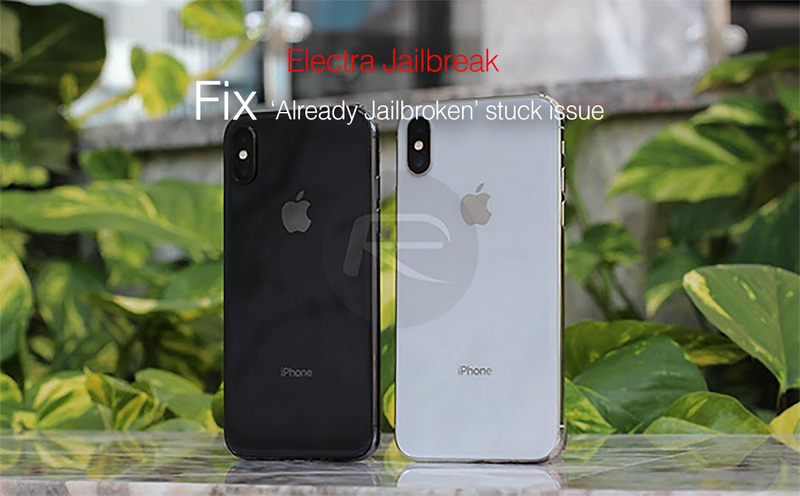 A growing number of iPhone and iPad owners are going through the Electra 1131 jailbreak process only to be stopped in their tracks by the “Already Jailbroken” error message. If you have been attempting to jailbreak your hardware, only to be thwarted by this peculiar message, then worry not as there is a way around it. As with most new software, Electra 1131 is throwing up some roadblocks and unexpected hurdles for a lot of people in the form of seemingly arbitrary error messages which don’t really give much information. If you have been getting stuck on the “Already Jailbroken” error with missing Cydia icon on Home screen, then follow the relatively simple steps below to bring yourself some solace. Let’s dive right in and take a look at those steps. Step 1: First and foremost, you are going to need a little bit of patience and the ability to execute uicache command via the command line. If you are happy to proceed, then you are going to need the IP address of your iPhone. Launch Settings, select Wi-Fi and then tap on the blue information button to the right-hand side of your connected network. Step 2: Under the IPV4 ADDRESS heading, you will see the IP Address field with a number assigned to it. Make a note of that IP address. Step 3: Launch the Terminal app on your Mac or the command line prompt if you are running a Windows-based PC. Type in the following command: ssh root@[ip address]. NOTE: Make sure that the [ip address] placeholder in the command is replaced with the number that you collected in Step 2. Once this command has been executed, you should notice that the problem on your device simply disappears and that you are left with a device that is jailbroken, complete with Cydia Installer app on the Home screen ready to be launched. And there you have it. Another Electra jailbreak bug encountered and squashed, leaving you to enjoy the liberated iPhone or iPad experience. It would be extremely helpful if the Electra team could provide a central resource which outlines all potential error messages and the fixes therein. Until then, we will continue to be a central resource where possible. You can also just use winscp and then search for the Cydia app and delete the files and rerun the jailbreak ? CYDIA APP & Anamone icons are on Springboard. Electra runs its course repeatedly BUT iPhone 7 Plus is not jailbreak. CYDIA crashes and Anamone crashes. I can delete Electra but CYDIA & Anamone remain unusable on Springboard & will not delete. I have uninstalled and reinstalled Electra with both CYDIA Impactor and Twealbox Electra APP. ABOUT 9 Hours into this with little success. My last jailbroken was on ios 8. Hence I’m not familiar with the developer ID thingy. My question is, if I jailbreak ios 11.3.1 using free developer ID, am I correct to say that I have to redo all the jailbreaking steps once I reboot my device after 1 week? I understand that the free ID is only valid for 1 week. In order to ssh into your phone it has to be jailbroken first.. the Electra app should say either already jailbroken or share Electra for this to work. Also make sure you download the Electra MP version from ignition .fun That’s the only way I got it to work. I had the same issue with connection refuses for ssh but wasn’t jailbroken so it didn’t work. Yeah I had same problem then I tried after it said already jail broken and was able to use putty and winscp no problem and just deleted the Cydia app files and re-jail broke and there Cydia was ?